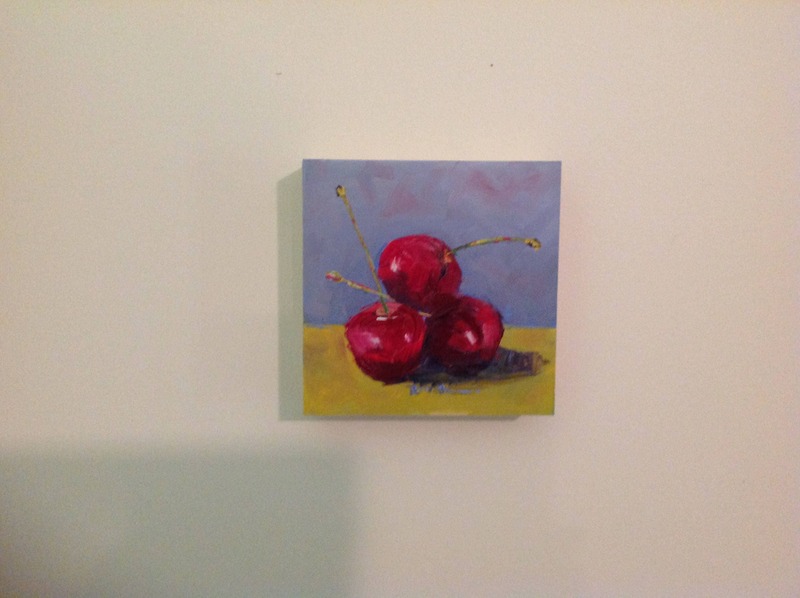 THE BINGS is an original 6" x 6" oil painting. 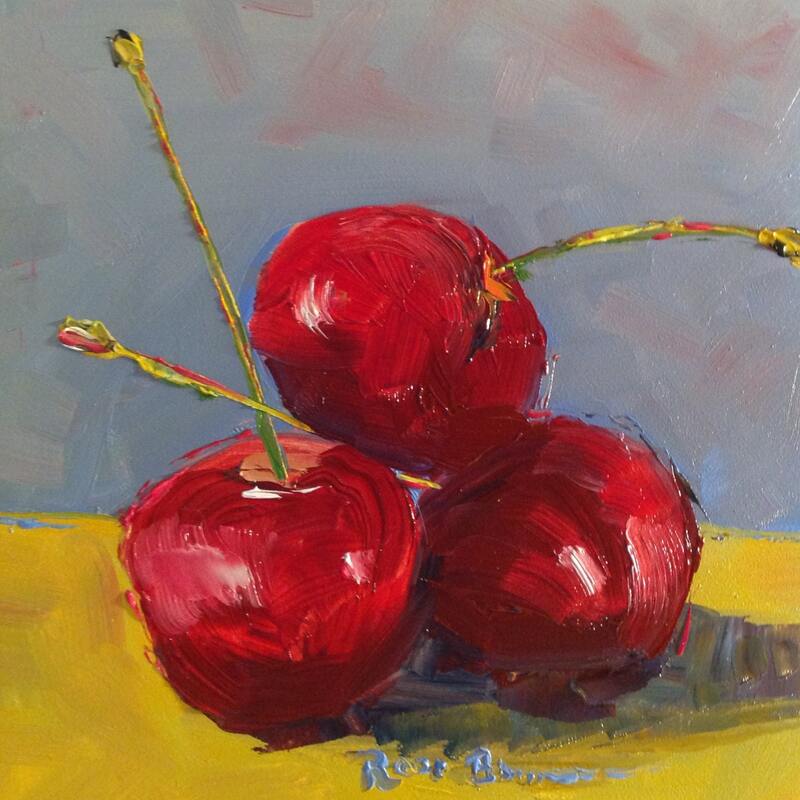 It is an impressionistic picture of three bing cherries on a table. The deep reds brighten up any room they are in. 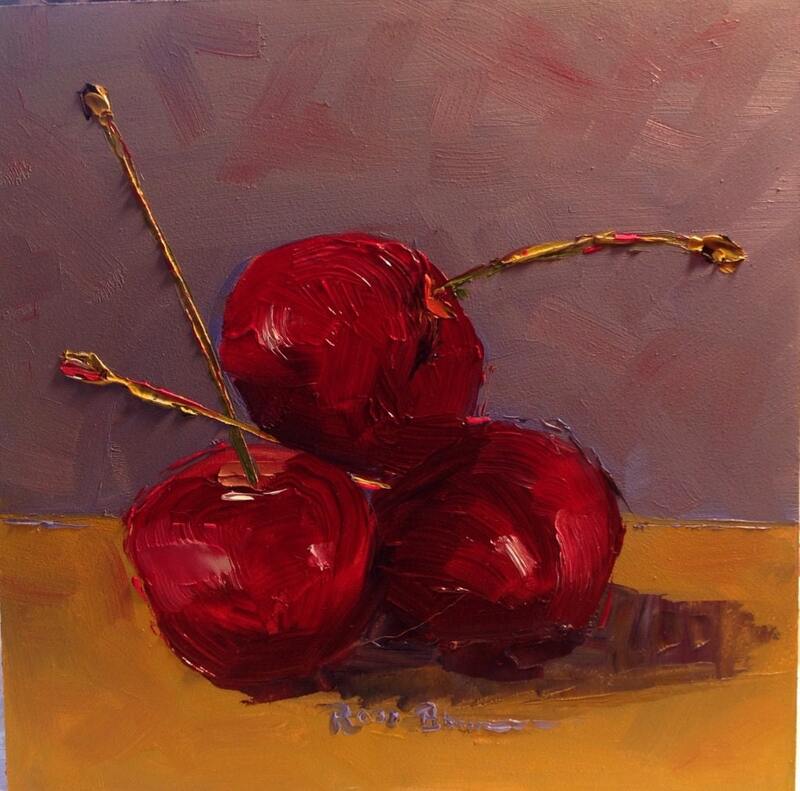 This is an impressionist painting, with many small bright accents such as the multiple colors of the cherry stems. The background is a pleasing yellow and light blue. Lines are blurred and the accents make this the perfect little masterpiece. The second picture is a close-up of the original. It shows the 2" deep canvas. 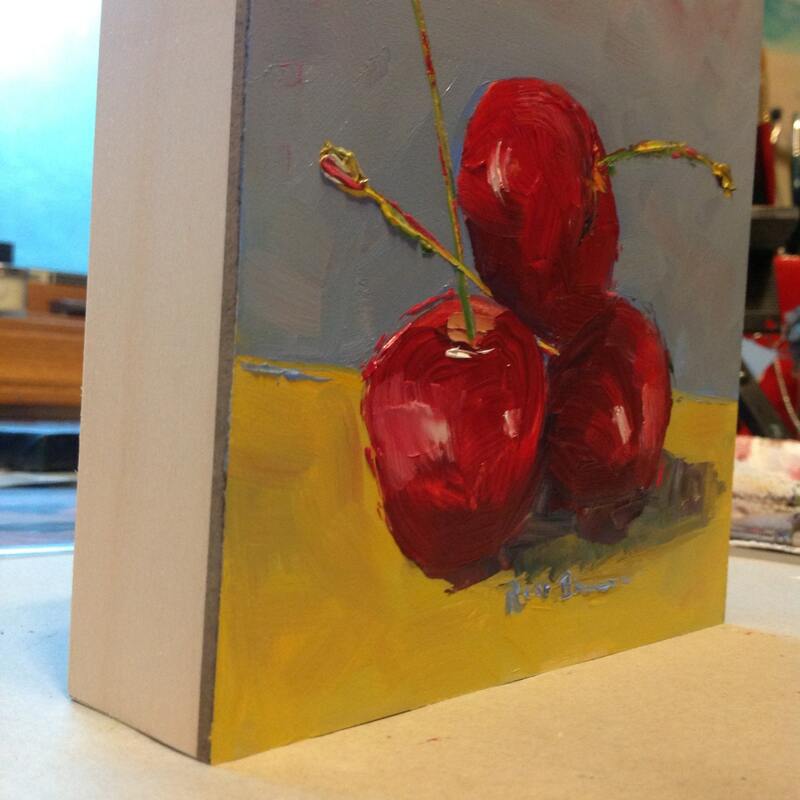 This a wonderful Mini Painting that would look perfect on a shelf in your office or at home. It comes unframed, and works fine sitting on a shelf. This oil painting is on a quality wood sided canvas. This means you don't frame this painting. It comes ready to hang.